This Steam Power Generator by Russell Hobbs is for those of you that take ironing as seriously as we do. Whether you find ironing a chore or you just struggle to tackle the never ending pile of laundry sitting in the ironing basket, this steam generator will have you swiftly gliding through it with ease. It doesn’t matter if you’re dealing with difficult denims or those seriously stubborn shirts, this super-steamy generator will easily smooth away every crumple, wrinkle and crease without the arm ache. With an impressive 100g steam output the moisture helps soften fabrics to smooth out even the toughest of wrinkles. 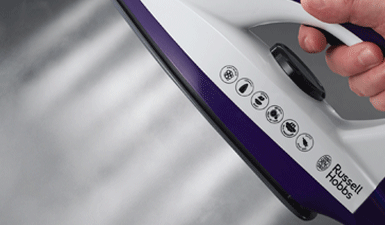 You can now effortlessly blitz your way through a towering pile of ironing in no time at all. We’ve designed our generator to have special armour to protect itself from the level of limescale build up. 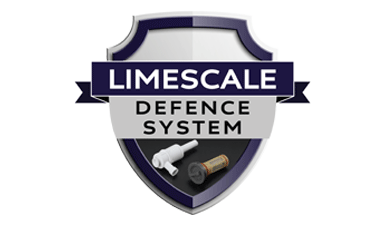 By incorporating our limescale defence system your Steam Power Generator has an anti scale cartridge that helps purify the water on its way into the tank to reduce the build up of limescale. And if that wasn’t enough we’ve even added another filter designed to capture any limescale that does manage to enter the system which can then be easily emptied and cleaned by rinsing under the tap.